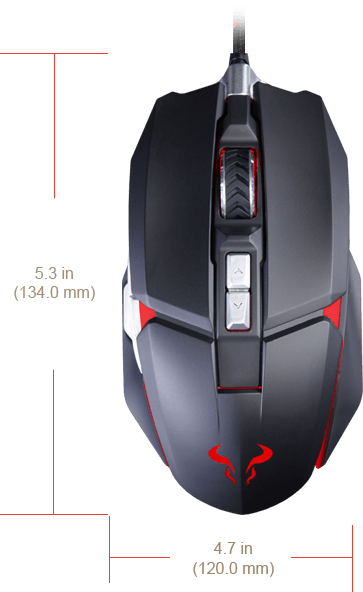 RIOTORO Aurox Prism RGB gaming mouse combines an ergonomic exterior with an ultra-precise 10K DPI optical sensor, 8 programmable buttons, aluminum scroll wheel, and customizable RGB lighting. Eight predefined colors out of the box for you to choose. 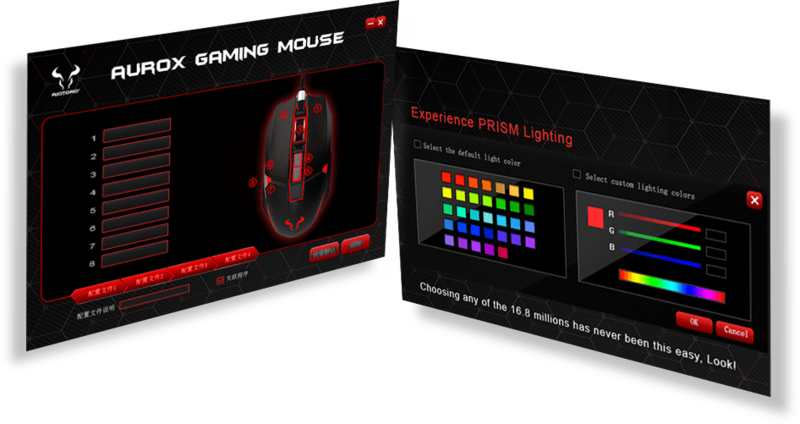 with 16.8 million colors to choose from, Aurox Prism colors can be customized to suit your PC's color scheme or your mood. adjustable in fine increments, allows you to optimize performance to suit your play style, from ultra-precise to insanely fast. 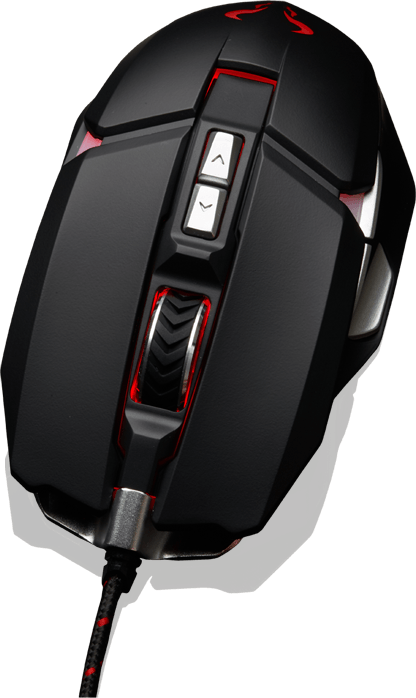 AUROX's side button is pre-configured to drop DPI on-the-fly to give you all the control you need. 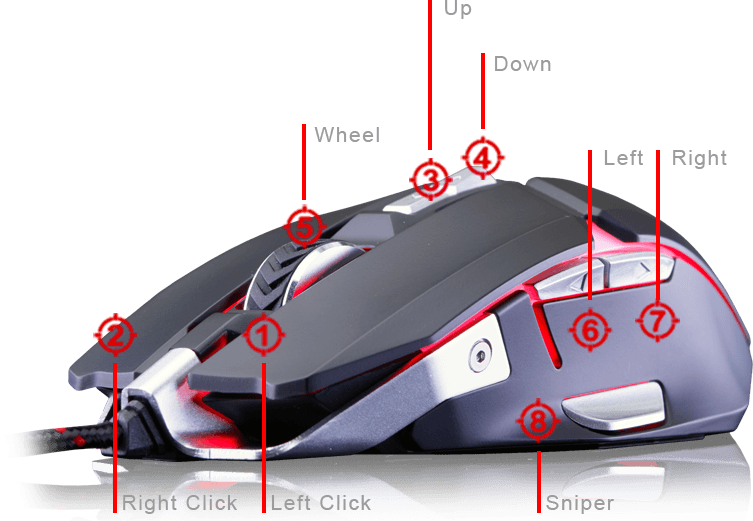 Its comfortable form factor allows for effective usage whether you’re normal or southpaw. 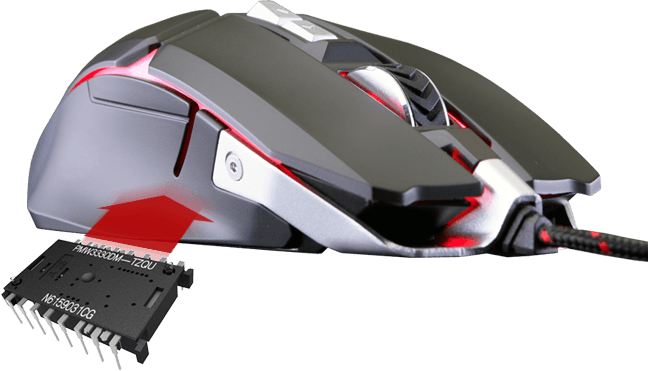 With a durablean smooth surface, the Aurox is specially engineered to effectively support all grip types.